Looking for the perfect, unique gift to give your guests? 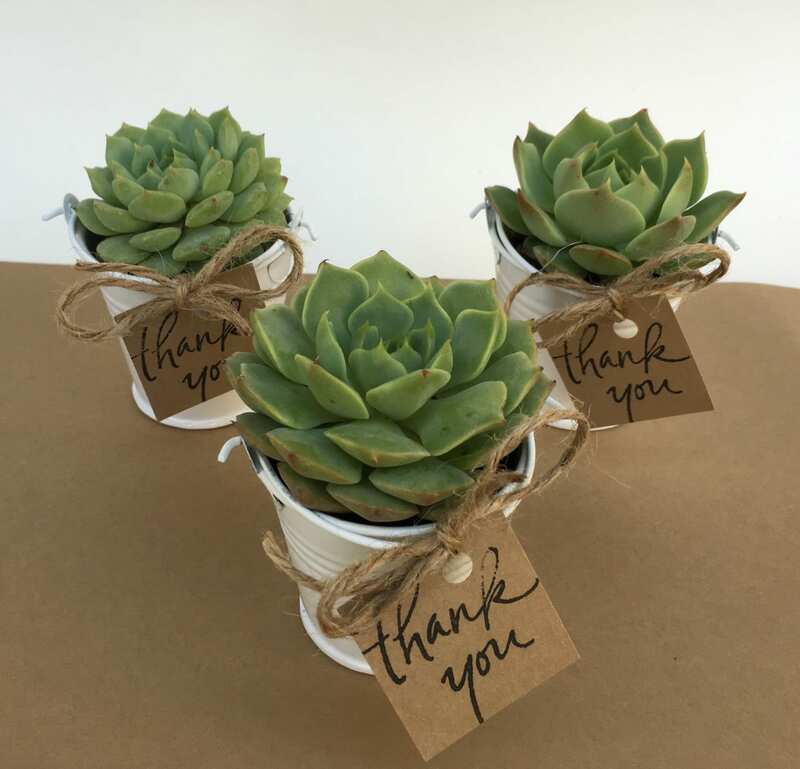 This listing is for 25 succulent favors in white pails! - 25 beautiful, high quality rooted rosette type succulents already planted in white pails approx. 2"tall and 2.5" wide on the top (opening). We can ship either all green or a variety of succulents. We tuck in some moss around the succulents as needed. - Optional: 25 tags and twine (or clothespins) to attach the tag to the pail. Tags are approx 1.4" x 1.4" in size. For custom tag: please scroll through the listing pictures and select the tag # you would like to be included. Tags can only be printed on 1 side. I ordered succulents for baptism’ giveaway. I am giving it 4 stars because of its size. It is tiny but cute. Otherwise, transaction is fast and prompt. Succulents are good qualities. Recommended! Thank you so much for working with us! Extremely accommodating, excellent customer service and we'll packaged succulents! Cannot say enough positive praise for the work you're doing. Keep at it! The succullents arrived quickly and were perfect! The were packed beautifully, the tags were cute and the wedding favors were very well received. I would definitely order these again!